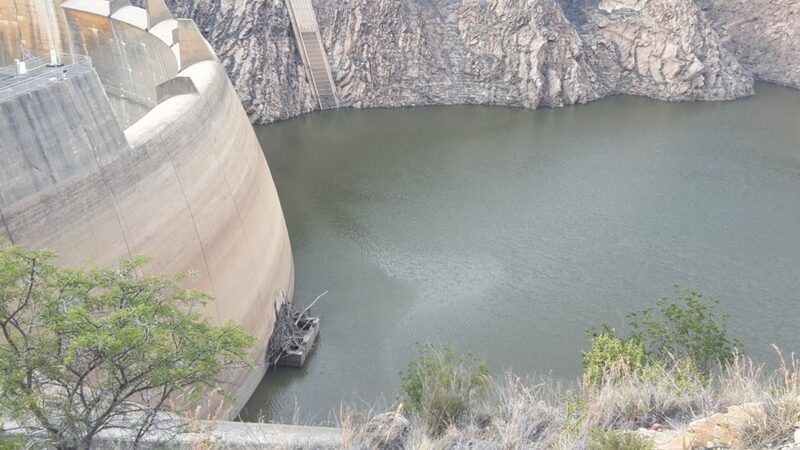 (PATENSIE) – Residents in the Gamtoos River Valley are bracing for a health crisis of unprecedented proportions as – for the first time in its history – the region’s biggest supply dam is set to run dry by the end of April. University of Johannesburg stalwart CJ Jordaan is aiming for a memorable end to his rugby career at the institution when the Varsity Sevens tournament takes place in Durban, starting on Friday. 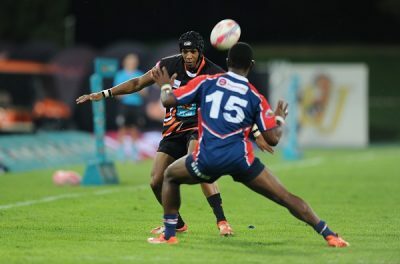 The 25-year-old, in his final year of a road transport management course, will bring the curtain down on his involvement with UJ rugby after representing the university at sevens as well as in the 15-man format in the last five years. Jordaan will be playing in Scotland next year, but right now his attention is fully focused on competing in his fourth Varsity Sevens tournament, an event he describes as having “an amazing vibe”. 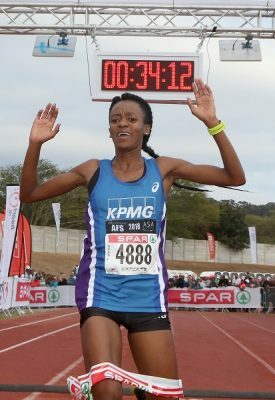 “I am extremely excited and motivated to finish my career at UJ on a high note,” said Jordaan, who grew up in Queenstown but now lives in Melville in Johannesburg. A fullback in 15-man rugby, Jordaan operates as first receiver in sevens, so he will be at the forefront of UJ’s title bid in what coach Patrick Ross-Allen has called the “toughest sevens tournament in the world”. Jordaan backed the coach’s view as the team prepared for a hectic opening two days of the tournament. The third day will be taken up by the playoff matches. “Playing nine pool games in two days is no joke,” said Jordaan, who was christened Carlisle but is known by almost everyone as CJ. “Sometimes the breaks between games are only an hour long. You need to be mentally tough. Jordaan said he had always enjoyed competing in the Varsity Sevens. He would always look back on his first Varsity Sevens tournament, which was held in Camps Bay, Cape Town, with fondness. “We did not get past the semifinals, but it was a great experience,” he said. Having represented the Border U18 side while he was at Queen’s College, Jordaan has been involved with UJ rugby since 2013, playing in the Varsity Cup competition and the sevens format. He began to focus on the sevens game when he struggled to make a breakthrough in the UJ rugby system. “I played for the UJ junior sevens team and went on to represent the seniors and the Lions sevens teams for four years,” he recalled. “We all know the main requirements of sevens are skill, speed and conditioning, but I believe mental strength and a positive attitude are also important. Jordaan, who has signed to play for the Gala Rugby Club in Scotland, said his goal was to reach provincial level. “That is my aim at this stage, but I also have a dream of eventually making it to the South African sevens academy,” he added. Next: Secrets of a successful agency: Recipe for success from a local and international perspective. A historic strike is looming at Productivity SA, the government agency mandated and dedicated to promote employment creation and growth, as well as the productive capacity and productivity of enterprises of the country. As a Public Entity Productivity SA’s ultimate purpose is to contribute to South Africa’s socio-economic development and global competitiveness. Productivity SA is established in terms of section 31 of the Employment Services Act, No. 4 of 2014 as a juristic person and an Entity of the Department of Labour (DoL) reporting to the Labour Minister, Mildred Oliphant. Productivity SA is governed by a tripartite Board consisting of business, labour and government. Productivity SA discharges its responsibilities through sterling programmes that focus on research, providing information, training, facilitation, advisory services, auditing and monitoring productivity issues. These programmes engage South African productivity issues at all levels, from sophisticated best practices models designed to boost the efficiency of private and public enterprises, through to the teaching of productivity awareness to school learners. Productivity SA has offices in Midrand, Durban and Cape Town. In an ironic move that is in stark contrast to its primary mandate, Productivity SA and its staff members have reached a deadlock in wage negotiations and strike action is pending. The South African Parastatal and Tertiary Institution Union (SAPTU) have been issued with a certificate enabling for a strike by the Commission for Conciliation, Mediation and Arbitration (CCMA). A strike by Productivity SA will be a first for the organisation in its 45-year existence. Productivity SA stuck to its offer of 5%, resulting in a deadlock. Productivity SA employees union, SAPTU is affiliated to Federation of Unions of South Africa (FEDUSA), which is the largest politically non-aligned trade union federation in South Africa and represents a diverse membership from a variety of sectors in industry. Employees of Productivity SA have never gone on a strike before, but this is an unprecedented show of frustration over what SAPTU deems as a financial crisis at Productivity SA exacerbated by mismanagement as highlighted in relevant audit reports.